This website applies only to sales to non-commercial individuals only. The present conditions could be altered by SAS Godard – Chambon & Marrel without prior notice. The present conditions apply to the sales made on SAS Godard - Chambon & Marrel's website www.foie-gras-godard.fr and regulate the contractual relations between SAS Godard - Chambon & Marrel and its clients. 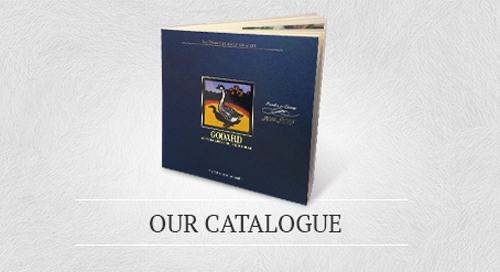 Only the data recorded on www.foiegrasgodard.com are the evidence of all commercial transactions exchanged between SAS Godard - Chambon & Marrel and its clients. This original contract is written in French. Please note that these products are intended for personal use only and their resale, even partially, is strictly forbidden. Validity term : all offers on the website are available only till they are online. Goods supply : Our items are available except when stock shortages occur. If the product you have ordered is not available, you will be informed, either by phone or e-mail, within 8 working days. Then,we would replace the missing item by another one having the same or higher value, unless you tell us otherwise. Geographic limits : goods requiring a refrigerated conservation (chilled products), wine and alcohol are not shipped outside Europe. Prices : prices are given in Euros and they are meant all taxes inclusive. They are guaranteed until 30 April 2016 (except modification of the VAT rate). These prices do not include handling fees (shipping, packaging). The prices of fresh truffles could fluctuate according to the harvesting season. VAT : the regulation controlling the VAT rate is fixed by the European Union. For EU deliveries, prices are given inclusive of all taxes (French VAT). 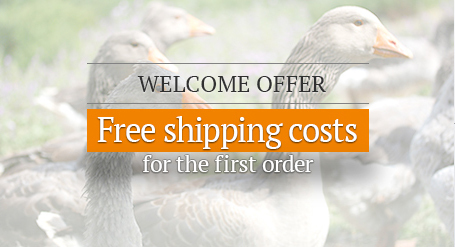 However, for deliveries outside the European Union, prices are given exclusive of VAT. Potential additional delivery charges might be paid by the client. It is the client’s responsibility to check with local authorities for eventual importation restrictions before ordering. Payment : the goods are to be paid cash on the day you are placing the order. We accept payment by credit-card (CB, VISA, Mastercard). Your order will be taken into account by SAS Godard - Chambon & Marrel only after having received the consent from the related paying banking companies. In case of refusal of consent from one of them, the order might not be executed. The customer will be informed either by e-mail, telephone or by mail. SAS Godard - Chambon & Marrel reserves the right to reject orders from a customer with whom there is one litigation.The delivery of parcels is carried out only after payment has been received. Secure financial transactions: the safety of payments on this site is ensured in HTTPS with an SSL certificate. Order acceptance : when you click on the button “ORDER” once you have selected the items you want to purchase, you notify that you accept your order and these Terms and Conditions without reservation. Moreover, by making an offer to purchase goods, you expressly notify the payment obligation. The forwarding of parcels that weigh less than 10 kg will be carried out through the national mail service "Colissimo suivi. 7 € 00 will be charged for each delivery. If the parcels weigh more than 10 kg, they would be carried through a carrier. On your demand, the delivery can be forwarded by Chronopost, the French Express service, and thus 16 € 00 will be charged on your order. In case you want us to organize a delivery at a different address, we would charge you 7 € 00 through Colissimo suivi and 16 € 00 through Chronopost. In case shipping fees are free thanks to a specific promotional offer, delivery will be forwarded through collisimo suivi service (based on 7 € 00 fees) and not through Chronopost. Chilled products are placed with reusable ice packs inside an isothermal bag. Orders over 10kg will be shipped several times. The shipping fees are calculated according to weight and destination. In case a mistake has been done by registering the geographical zone, we reserve the right to adjust the shipping fees. For your information, our items are not delivered toward above non mentioned countries of East Europe, Maghreb, the Middle East, North America, South America, Asia nor Oceania. Army : Please contact us to know the shipping rates in foreign countries (SP 55000 / SP 69000 / SP71000). Delivery : Orders are shipped within 24 to 48 hours after their online validation. Orders validated on Fridays, Saturdays and Sundays are shipped on Tuesday. No orders are shipped during weekends and French public holidays. Except under exceptional circumstances, your order is delivered inside Metropolitan France within 8-10 days once your order is confirmed. You must check the number and the good condition of parcels in the presence of the delivery-man. If there is any damage, please make notice on the delivery form before signature and confirm by recovered delivery letter within 48 hours to the carrier, so you will be able to pretend to compensation. If you do not do so, your complaint shall not be taken into account. Should the address of delivery you entered on the website, turns out to be incorrect, SAS Godard - Chambon & Marrel would charge you for additional forwarding fees (first shipping, return and second shipping). SAS Godard – Chambon & Marrel cannot be held responsible for a longer delay than scheduled or for products delivered at a wrong address. Right of withdrawal : According to the French consumer code, the right of withdrawal entails automatic cancellation of the contract of sale if it takes place within 14 days of conclusion of the contract. Till 14 days after the delivery, the consumer can cancel the order without giving any justification to the vendor and would not have to pay any penalty except the return shipping charges. Tel: 0033 5 65 41 03 97 Monday to Friday from 8.00 am to 7.00 pm. Please mention your customer code and/ or the order reference when you contact our customer service department. No return or exchange will be accepted without prior written contact with SAS GODARD – CHAMBON & MARREL. Please, use the same shipping method that was initiated in the first place to the address written above so that we can track the parcel. Goods will be returned imperatively in their original parcels and in perfect conditions. The right of withdrawal can be applied neither on fresh raw products nor on chilled products. Only the returned merchandise and the initial mailing expenses (standard delivery) will be reimbursed. If the customer initially chose a different shipping method (chronopost), the additional shipping costs will not be refunded. The return shipping charges will not be reimbursed. Refunds are issued within 14 days of processing the return, once SAS GODARD – CHAMBON & MARREL has been notified that the customer wanted to return the merchandise and after having received the parcel with the returned goods or the formal evidence that the parcel has been sent. If you return the product because you are not satisfied, the price of the product only would be reimbursed to you. Then, the shipping charges would remain at your charge. However if you return the product because of a Maison Godard’s own mistake, the price of the product but also handling fees (shipping and return) would be reimbursed to you. Complaint : Our gourmet specialities are cooked with fresh carefully selected ingredients. 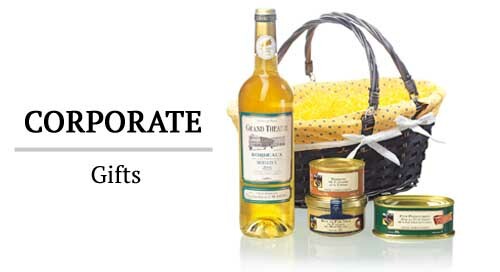 Our specialities must be handled and stored according to conditions mentioned on the labels. All our half- cooked chilled specialties must be stored in a fridge between 0 and 4° C. The customer must check the use-by date stated on the packagings. SAS Godard - Chambon & Marrel cannot be held responsible for lack of consideration of rules in force in the countries of delivery. In case of complaint, please contact our customer services by e-mail: godard@foiegrasgodard.com, by phone (0033) 05 65 41 03 97 or by letter. Dispute settlement : In case a conflict between SAS GODARD - Chambon & Marrel and its customers is not amicably settled, the commercial court of the addressee would be exclusively competent. Reservation of title clause : delivered goods remain SAS Godard - Chambon & Marrel's property till the full payment of the order.